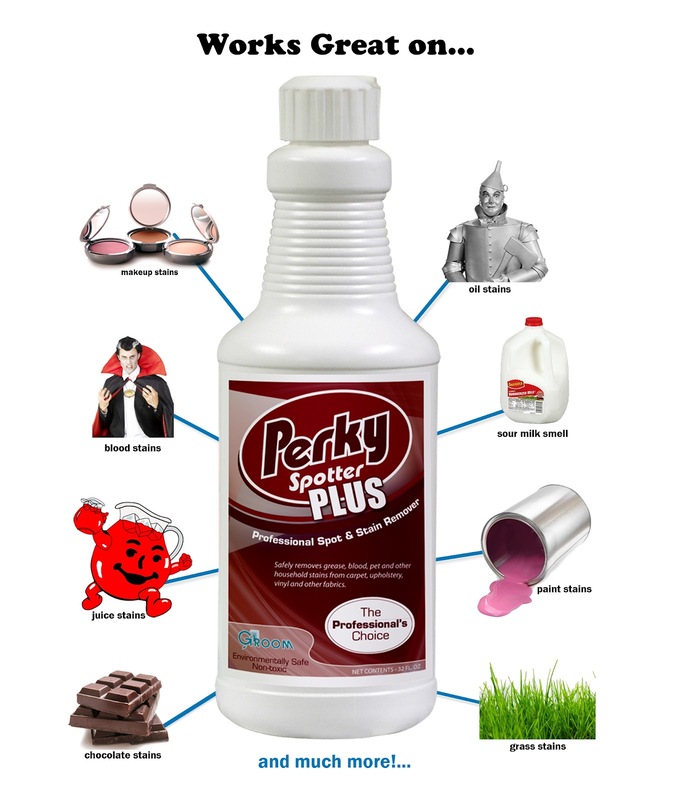 Perky Plus has been formulated to tackle all types of spills and messes. Perky Plus has over 35 years of experience in making carpet cleaning supplies and stain removers. Unlike other stain removers that only treat the surface of the stain, Perky stain removers fight the source of the stain with an advanced squirt top that not only dissolves the stain but also neutralizes odors on contact to make your fabric or carpet like new. Groom Industries has just recently developed these fantastic cleaning products and stain removers for consumers in the general public. For the most part Perky Plus removed my stains and made the fabric smell fresh. I liked the little brush that came with my spot remover. The brush made it easy to "massage" the product into the fabric and get even coverage. I didn't notice any strong scent that some spot removers can have. 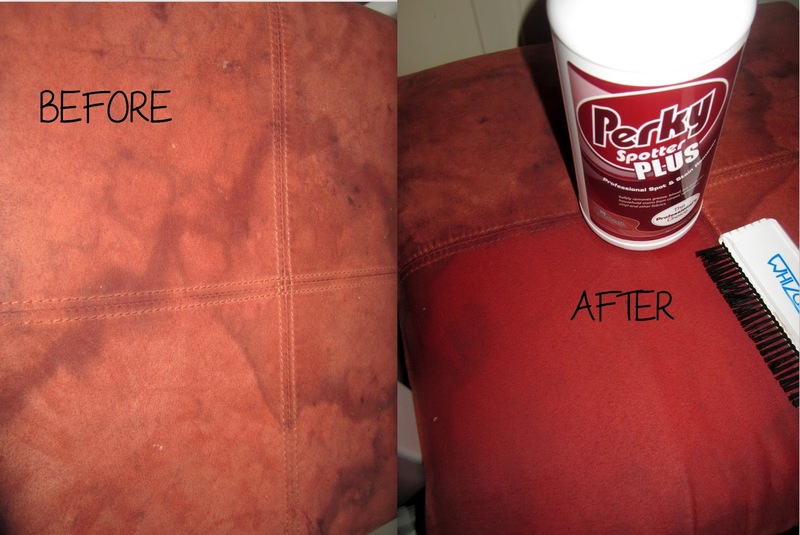 Perky Plus did not remove the oily stain so much, it's still there after the 1st treatment. I didn't take a photo but after the 2nd treatment the oil stain was nothing but a faint discoloration in the fabric. Overall I like Perky Plus and I don't have anything bad to say about it. Visit www.groomindustries.com for more info.